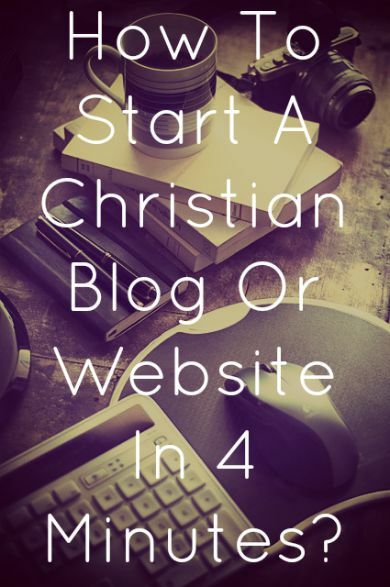 Are you trying to start your own Christian blog or website, but you do not know where to start? There are many different Christian bloggers and websites that specialize on different things within the faith. There are sites that focus on Christian marriage, helping stay at home moms, defending the faith against cults, answering questions, raising godly kids, everyday Christian living, random blogging, etc. Do you have a growing passion to encourage others and build others up in faith? Have you been procrastinating? You do not have to be techie to start your own site. Reasons to start blogging today. 1. To be a blogger you don’t have to be the best writer, but blogging will make you more creative and make you a better writer. 2. You can express your faith to others. 4. You will make many new friends in the Christian blogging community. 6. You will become more bold and you will have more motivation to witness to others in real life. 7. You get to reach hundreds, thousands, and even millions. 8. God’s name will be glorified. 1 Corinthians 10:31 Whether therefore ye eat, or drink, or whatsoever ye do, do all to the glory of God. 9. Having a blog gives us another opportunity to pray to the Lord. For example, God give me the words to write, may you allow these words to help someone who needs to hear them, etc. To start you need to be a Christian of course. Unfortunately I’ve seen many professing Christian blogs that denied that salvation is by faith in Christ alone. I’ve seen many that gave bad advice, encouraged promiscuity, and declassified homosexuality as a sin. As writers remember that you will be held accountable before God if you cause someone to stumble because of your teachings. Let’s learn how you can create a site in minutes today. If you are serious about blogging and you want your own name, a search engine friendly, customizable, flexible, and complete control and ownership over your site you will need a paid web hosting service. I don’t recommend using the free WordPress or WordPress Premium. I recommend SiteGround, which offers a $3.95/mo plan, $7.95/mo plan, and a $14.95/mo plan. If you are just starting out, then their $3.95 plan is more than enough. SiteGround gives you all that you need and gives you full ownership of the site so you don’t have to worry about your website being deleted and losing all of your content. 1. Start SiteGround here at 60% off. 2. Choose the hosting plan that is right for you. Their Startup $3.95 plan is more than enough for most bloggers. 3. The good thing about SiteGround is that they give you a free domain name. The next step is to make a free domain name to your Christian blog. 4. When you press proceed if the name is available it is going to say congratulations. 5. On the review and complete page add your info such as your name, password, payment, etc. 6. Now you have hosting! 7. When you login to your Customer Area for the first time, you will see a popup asking you if you want to have WordPress preinstalled on your account. Choose get WordPress preinstalled on this account and press proceed. 8. Enter the login information for your new WordPress application. 9. Choose a free WordPress theme and click submit. 10. You are done. You will see where to access your admin area. 11. Now you can begin writing for the glory of God!